The Joliet Junior College Early Childhood Center (ECC) has been reaccredited by the National Association for the Education of Young Children (NAEYC) for a 5-year term. enrolled in the Early Childhood Center. “Earning the recognition of NAEYC through the accreditation process is a big deal. It matters. It matters to our children and their families. It matters to our faculty and students. It matters to our administration and it matters to our community,” remarked Bev Cavanaugh, manager of JJC’s Early Childhood Center. The accreditation process included an extensive self-study, followed by an on-site visit from NAEYC assessors to verify the ECC met each of its 10 program standards. The quality standards include: relationships with children, curriculum, teaching approaches, child assessment, nutrition and health, staff qualifications, relationship with children's families, relationship with the community, physical environment and program leadership and management. NAEYC-accredited programs must always be prepared for unannounced quality-assurance visits during their accreditation term. The NAEYC program implements an approved, research-based curriculum that includes screenings, assessments and parent involvement; focusing on individualized learning for children. “Research shows a direct correlation between high-quality early learning and children's positive long-term outcomes in life, including increased educational attainment, healthier lifestyles, and more successful careers,” according to NAEYC’s website. Less than 10 percent of all child care centers, preschools and kindergartens in the nation receive this accreditation. For 40 years the ECC has been operated by childcare professionals, student employees and interns that are interested in gaining experience in an early-education setting. The laboratory setting allows college students the hands-on learning experience needed for a successful career. 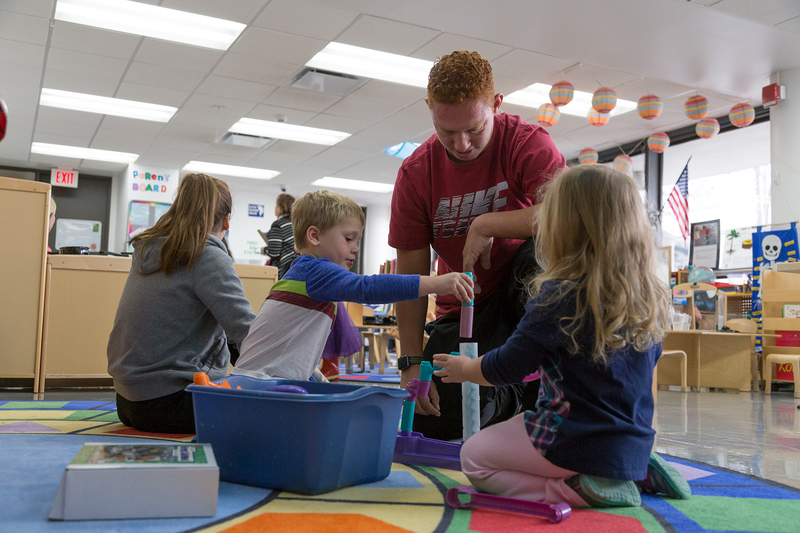 “A nationally accredited preschool program means that Joliet Junior College is a leader in providing the highest quality of care for the children of its students. The college’s support of the NAEYC accreditation process communicates JJC’s commitment to quality for our youngest learners,” said Cavanaugh. Children ages 3 to 5 are eligible to enroll in the ECC. Some JJC students may be eligible to receive assistance with their childcare expenses by applying for the Child Care Access Means Parents in School (CCAMPIS) grant, which was awarded by the U.S. Department of Education this summer. For more information on the CCAMPIS grant or enrollment in the ECC, contact Bev Cavanaugh at bcavanau@jjc.edu or 815-280-2880.